If you are traveling, are out of the town or can’t visit the clinic for some reason, The Lice Place’s Irving Lice Treatment Products will offer your hair the best defense against lice and nits. A complete range of lice treatment products are available here that include a terminator comb, TLP shampoo, conditioner, pesticide free mousse, and lice repellant mint spray. All these products are formulated using natural oils and ingredients and also offer the safest cure against lice infestations. If you have a sensitive scalp or want a product that is safe to be used by children, TLP shampoo is great for regular use. This sulfate free shampoo doesn’t contain any chemicals but is created with Neem oil, which is a natural insect repellant. Similar, our TLP mousse helps break the nit glue. You can use it with our terminator comb that has unique spiral micro-grooving to drag and destroy the nits completely. We have also developed TLP mint spray and conditioner to repel the lice naturally and defend your hair from future infestations. These products are gentle on hair and make them healthy and shiny too. Order our products online and receive them at affordable prices. Never trust any inexperienced or average service provider when it comes to lice treatment. There are several other products available on the market but they may contain harmful chemicals. 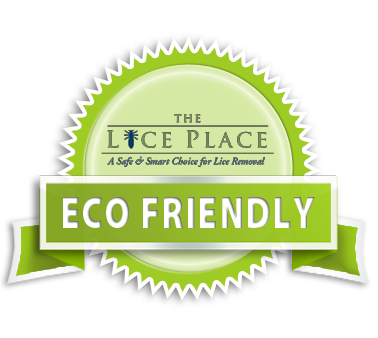 The lice treatment products at The Lice Place have been proven safe and effective in providing complete safeguard from lice and nits. Since The Lice Place is the most experienced and trusted company in the area, all our professionals work hard to provide our clients with the safest and the fastest lice treatment and removal services. We also offer professional guidance in preventive measures. If you follow our expert advice along with using our Irving Lice Treatment Products, you can easily keep your family free of lice infestation for years. Call us today at 972-380-1900 if you have any questions about our products. These non-toxic, pesticide free products are available at reasonable prices and can be ordered conveniently online.